Happy Needle and Thread Thursday, friends! My skyline quilt is all finished, and I couldn't be happier with the way it turned out. The area code for the Memphis area is 901, and since this is the Memphis skyline, I'm keeping it simple and naming it #901. 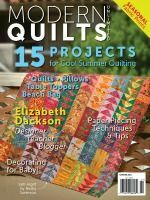 Our MQG chapter is hosting a quilt show, but for displaying in the space, the venue stipulates that every art piece must be for sale. The gallery is really modern and cool, and they use local art exhibitions for fundraising (they keep a small percentage of the sales price). So, I set out to design something especially for the show that would have a fun, local artsy flair. Since I'm not from the Memphis area, I figured that it would be easy to part with it, but now I'm not so sure. 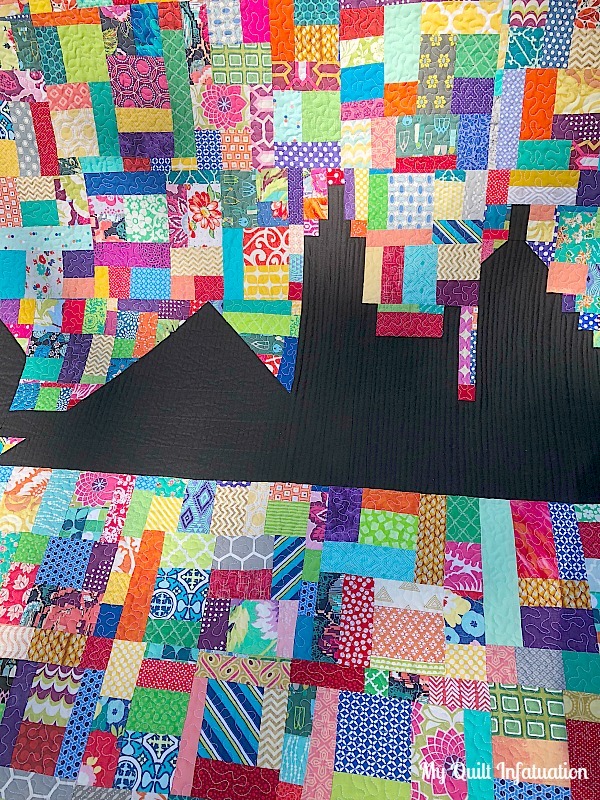 The skyline is quilted with free-motion vertical line quilting, spaced about 1/4" apart. I briefly considered using a dark gray thread to add some dimension to the structures, but decided not to add any additional pattern to compete with the background. Aurifil 50 wt. Black thread blends right in and keeps the skyline in stark contrast to the improv in the background. The background is densely stippled with 50 wt. Aurifil White. 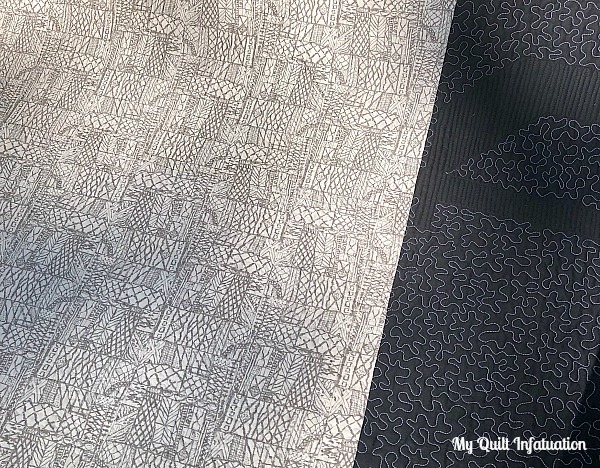 White and Dove Gray are my faves for quilting on brightly colored improv panels. They both allow the piecing to take center stage, and blend into the riot of color surprisingly well. I had the White on hand, so that made an easy choice. 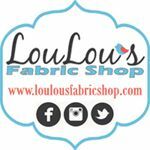 While I'm on the subject, I want to let you know that I've just been chosen as an Aurifil Artisan for the upcoming year. 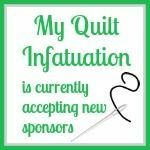 I love Aurifil threads and use them exclusively in my quilting. The thread is strong, almost lint-free, and comes in a huge variety of colors! 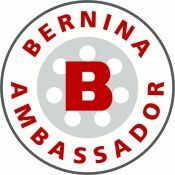 I'm so excited about this partnership! This awesome print on the back is from the Coastline collection by Sharon Holland for Art Gallery Fabrics. I originally wanted a bright fabric for the back, but when I saw this gray print, I just had to have it. With the individual patterned rectangles and strips, it almost looks like a piece of improv with the color washed out! The backing was widened out with a stripe of Kona Black, and I used it for the binding as well. It creates a sleek frame for all of that color. This finished quilt measures 72" x 74". I just might make a half size for keeps! 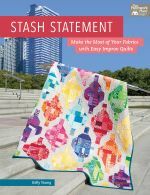 Though this pattern is not included in my book, I created the background of this quilt using the methods in Stash Statement. Improv piecing is doable for everyone with the three methods shown in the book, so if you've ever wanted to try your hand at improv, my book will show you how. I promise you can do it. It's easier than you think! Get your signed copy HERE, or look for it at your favorite bookseller. Last week's party was filled with awesomeness! 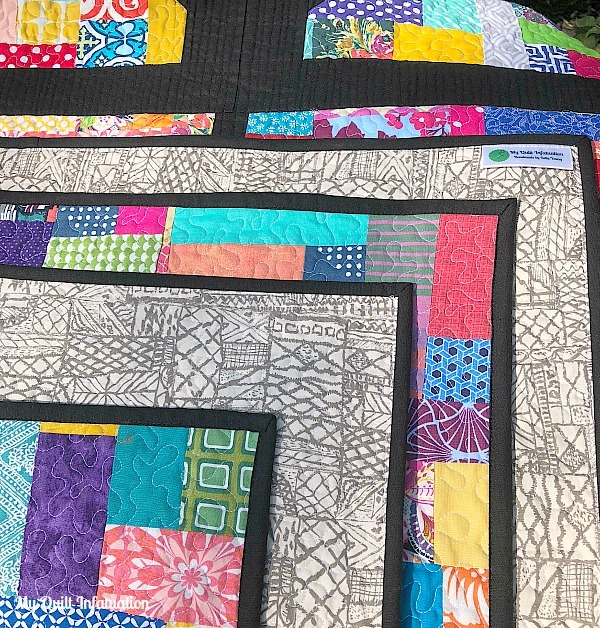 This gorgeous Skyways quilt is by Liz at Savor Every Stitch. 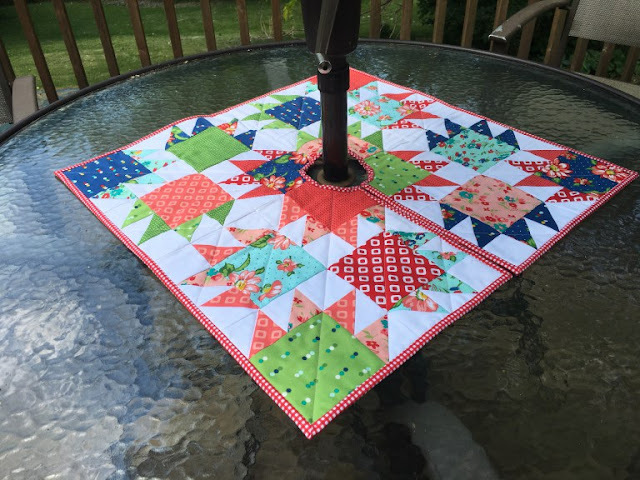 This fun patio table quilt is by Wendy at Pieceful Thoughts of My Quilting Life. and these fantastically modern minis are by Sophie at Luna Lovequilts. Alright! Let's get down to business, shall we? #901 is gorgeous. The backing fabric is as pretty as the front. 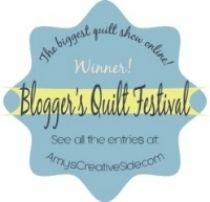 Thank you so much for featuring my mini quilts Kelly ! Your #901 quilt is very striking and original ! 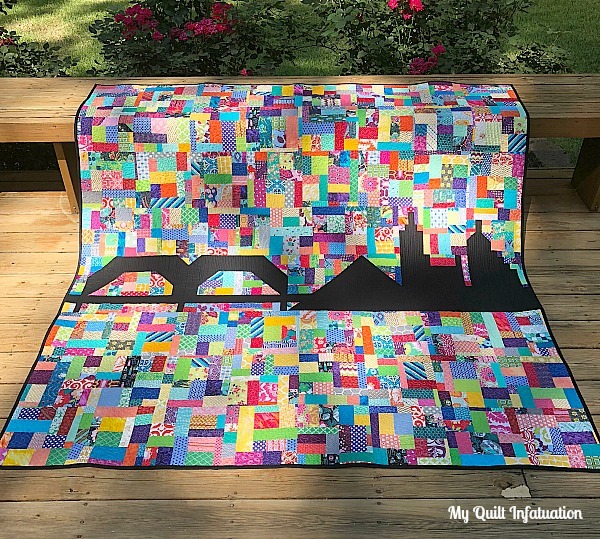 Your skyline quilt is gorgeous. I love all the details and colours. 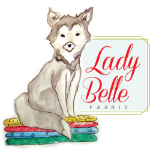 Thank you for the feature, Kelly! I really like #901 and love that backing fabric! I'm going to have to find some of that for my stash! I love how this turned out and the name is perfect! 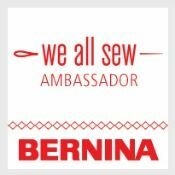 Congratulations on being a Aurifil Artisan! I was so happy to see you were in the 2018 mix! I'd have a hard time selling 901 too. We lived in the Memphis area for awhile while in the Navy and I am sure it will be a winner at the show. Beautiful quilt Kelly! I can see why it's difficult to part with. I love the black buildings contrasting against the rainbow background! Thank you for featuring my quilt. It is wonderful! The opposition between the colorful background and dark skyline is perfect. It's amazing. I love the name. Congrats on the new Aurifil partnership. 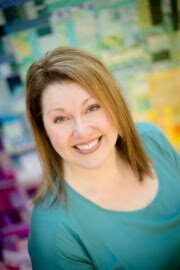 Yes, congrats on the Aurifil partnership! I would not be able to let that quilt go. Well, maybe if I had another. May I suggest making that second one before the show? And I love the title!